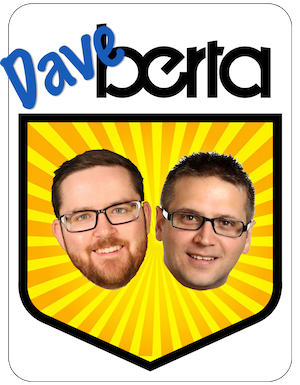 alberta candidate nomination updates – july 2011. Airdrie – Former City of Airdrie Mayor Linda Bruce told the Airdrie Echo that she has been approached to run for the Progressive Conservative nomination. Ms. Bruce served two-terms as Mayor before being unseated by Peter Brown in October 2010. She currently serves as the Executive Director of Creative Airdrie. The constituency is currently represented by Wildrose MLA Rob Anderson. 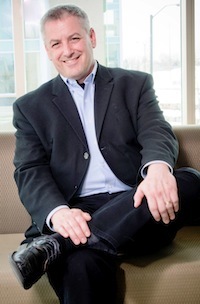 Calgary-Buffalo: Mount Royal University Professor and recent Alberta Party leadership candidate Lee Easton is seeking his party’s nomination in this downtown Calgary riding. Seeking the Wildrose nomination is the former host of 770AMs Calgary Today Mike Blanchard. Calgary-Klein: Jeremy Nixon defeated former separatist leader Cory Morgan for the Wildrose nomination. Calgary-Mountain View: Outgoing Liberal Party leader David Swann was nominated as his party’s candidate. Dr. Swann was first elected to represent the constituency in 2004 and was handily re-elected in 2008. Edmonton-Manning: Catholic School District Trustee Cindy Olsen was nominated as the NDP candidate. Lethbridge-East: Kent Prestage was nominated as the Wildrose candidate. Mr. Prestage was the campaign manager for former Lethbridge MP Rick Casson and made an unsuccessful run for the Conservative Party nomination when Mr. Casson retired earlier this year. Innisfail-Sylvan Lake – Kerry Towle defeated Rod English to become the Wildrose candidate. Penhold Town Councilllor Danielle Klooster has been acclaimed as the Alberta Party candidate. Olds-Didsbury-Three Hills: Carstairs-based accountant William Stevenson is the first candidate to enter the nomination contest to replace retiring PC MLA Richard Marz. The PC nomination contest is expected to attract a crowded field. 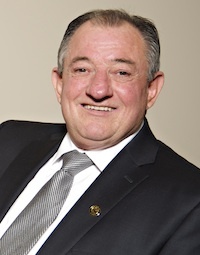 Stony Plain: Two candidates have stepped up to retiring PC MLA Fred Lindsay. Town of Stony Plain Mayor Ken Lemke was the first to enter the nomination contest to replace Mr. Lindsay, who has represented the constituency since 2004. Constituency Manager Lorna Wolodko entered this week. Arlin Biffert is the nominated Liberal candidate. Wetaskiwin-Camrose: Camrose County Councillor Trevor Miller defeated Tim Essington and Orest Werezak to become the Wildrose candidate. Mr. Werezak was the Wildrose Alliance candidate in Battle River-Wainwright in 2004 election and was the Federal Liberal candidate Crowfoot in the 2000 federal election. Click here for a full list of nominated and declared Alberta provincial election candidates. This entry was posted in Alberta Politics and tagged Arlin Biffert, Cindy Olsen, Cory Morgan, Danielle Klooster, David Swann, Fred Lindsay, Jeremy Nixon, Ken Lemke, Kerry Towle, Lee Easton, Linda Bruce, Lorna Wolodko, Mike Blanchard, Orest Werezak, Paul Ruggles, Peter Brown, Richard Marz, Rob Anderson, Rod English, Tim Essington, Trevor Miller, Trudy Hauser, William Stevenson on July 9, 2011 by Dave Cournoyer. David Swann your roots of hypocrisy are showing. So much for your environmental agenda the gas guzzler you were driving in the Capital Ex parade proves only one thing; that you follow advice and instructions from your Liberal lackies well. Too bad Kevin Taft and the rest of the Liberal Caucus couldn’t find a way to embrace concepts outside of their ivory tower of elitism. So long Taft, and …soon Swann. I’m sure you can return to eating granola and serving it up to your fellow Liberals after the 2012 election. Chase and McDonald will need someone to hold their hands.